On Thursday April 5, the varsity girls golf team won the girls team competition at the Nevada Invitational. Emma Griffin was the runner-up medalist for the team with a score of 100. 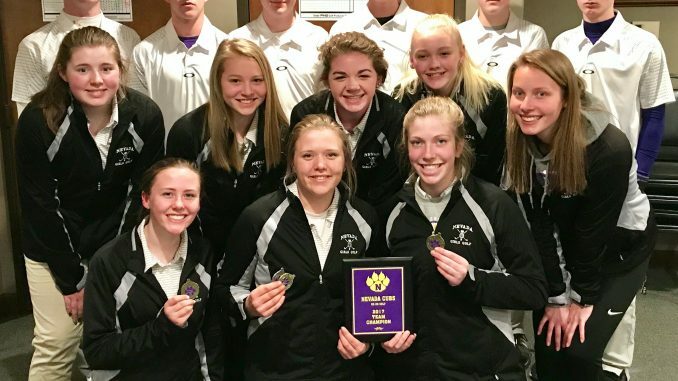 Nora Anderson got fourth place with 111 points, Ashlynn Sporrer got fifth place with 114 points, and Caroline Ausman got sixth with 115 points. Article contributed by Emma Walden.